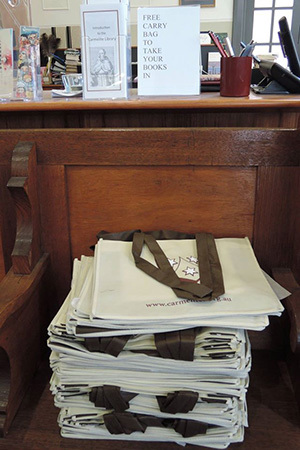 Membership to the Carmelite Library is open to ALL. Loan privileges ($70 for 12 months from day of joining, $30 concession for students and pensioners) can be made available on application. Cash and cheque only. Free membership is available to Carmelites, Lay Carmelites, and students and staff of the University of Divinity. The loan period is 28 days (ten books maximum).